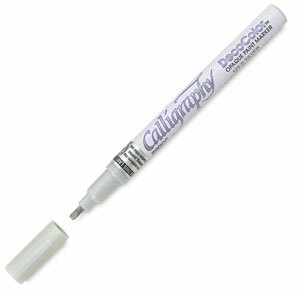 Start lettering with these Decocolor Calligraphy Paint Markers! These markers have a flat 2 mm nib and acid-free, non-toxic, lead free xylene-based paint that is permanent, weatherproof, and lightfast. Available in silver or gold ink.